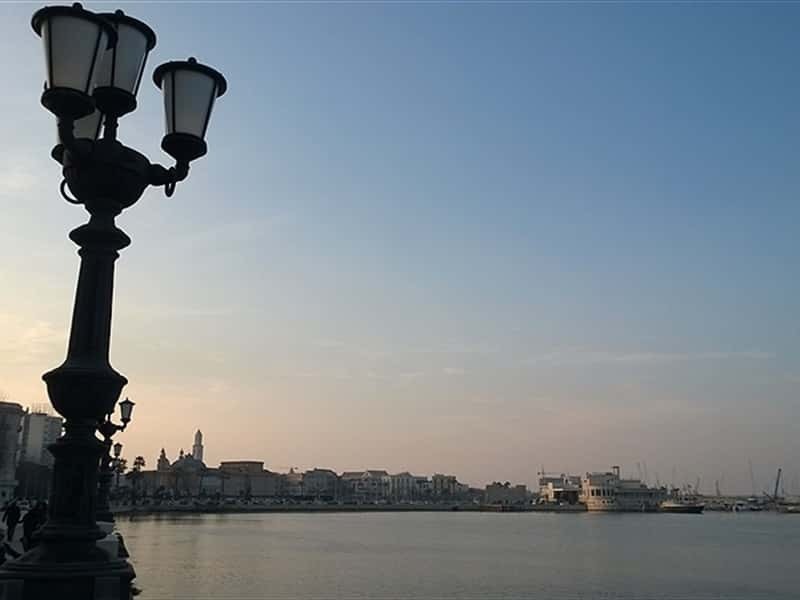 Bari is located on a plain that faces on to the Adriatic Sea. The city became part of the Roman Empire in III century b.C. and was proclaimed municipium. At the time the local economy steadily grew thanks to the building of the Via Traiana. After the decline of the Roman Empire the city became an Arab Emirate. Over the centuries , the lands were contended and it submitted various dominations: Longobardo, Byzantine, Saracen, Norman, Anjou, Aragon and Spanish. After the retrieval of the relics of San Nicola, Bishop of Myra (in Lycia - Turkey) in 1087 and the building of the Basilica entitled to this Saint (who in life was a healer/doctor), Bari became one the most important Christianity cities, departure and return point for the Crusades and trading bridge between Europe and the Middle East. 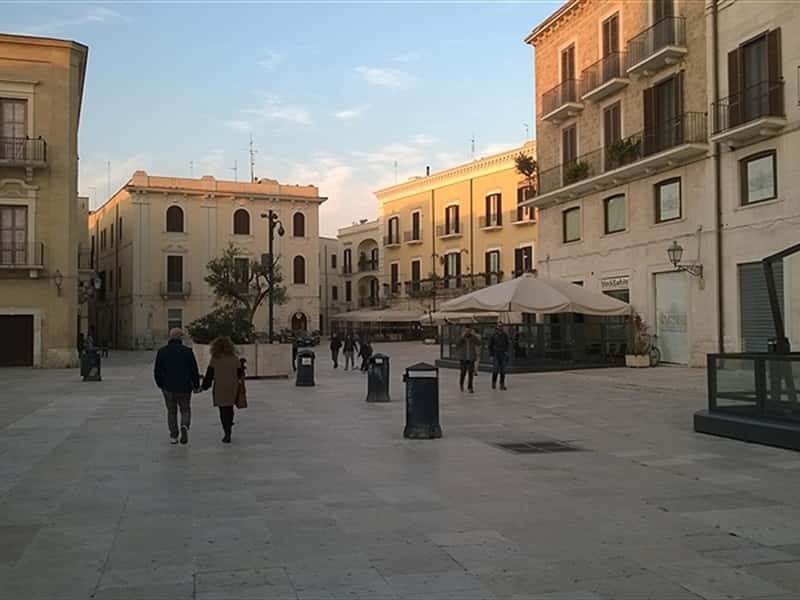 The list of the most famous artistic and historic monuments starts with the Basilica of San Nicola, a typical example of Romanesque-Apulia architecture, a nave and two aisles basilica shape building edified in 1087 and 1197. The façade, important with no frills, is located between two bell towers and the sides of the building are covered with closed arches. Inside there is a series of granite column capitals which present different styles, from Byzantine to Anglo-Norman. In the presbytery there is a stone altar which preserves the Saint's relics. It is traditional for the clergy of the basilica to lower a flask into the suberranean tomb of Saint Nicholas to extract some of the myrrh which is believed to exude from the relics. Containers of this myrrh are given to the believers that have reported numerous miracles as a result of being anointed with it. The Baroque period is evidenced by the gold and engraved wooden ceiling with paintings of Carlo Rosa that feature Scenes of the life and the miracles of the Saint. The Norman-Svevo Castle, built in the first years of the XII century on request of Ruggero il Normanno, was refurbished by Federico II in the XIII century. It is a wonderful trace of the architecture of the Middle Ages, and it is a reachable, crossing a stone bridge. It was the Court seat of Isabella d'Aragona and of Bona Sforza, that in '500 reinforced the fortifications with large bulwarks and corner towers over the moat. The small Fortress of Sant'Antonio Abate, built for defense purposes in XIV century, features inside a small chapel entitled to the Saint, which can be visited only on January 17th , day of the festivity. 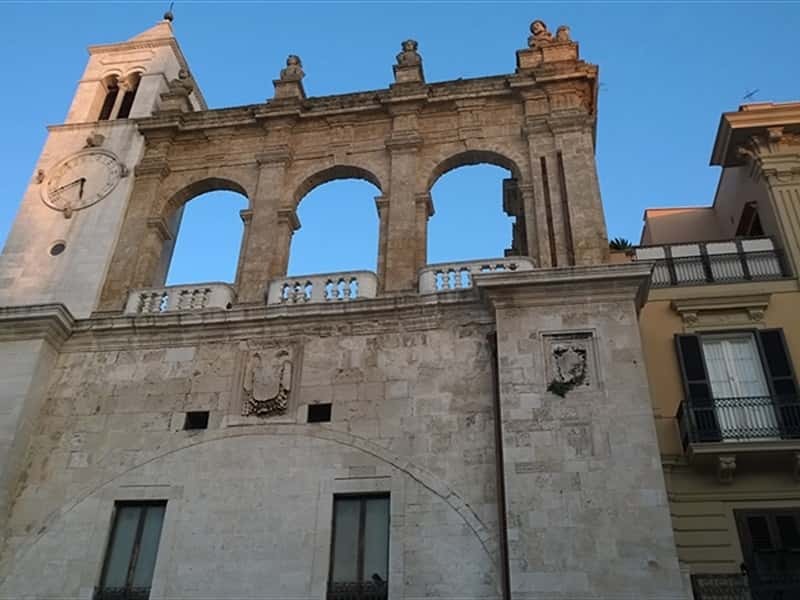 Another splendid example is the Cathedral of San Sabino, built in a typical Romanesque-Apulia style in the first half of the XI century on the ruins of a Byzantine cathedral. The façade in smooth granite stone cut into three lesene (frames) with a large central rose window in the upper part that features fantasy and monstruous characters. The crypt houses the relics of St. Sabinus and the icon of the Madonna Odigitria, that the tradition wants painted by San Luca and treasure of one of the temples of Costantinopoli. 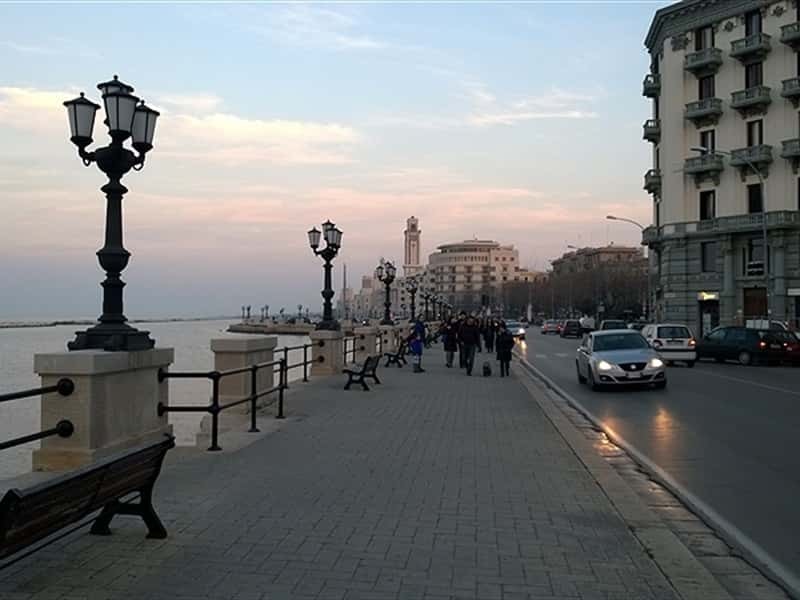 Not to miss: Church della Trinità (XI century), the Church of San Giuseppe (VIII century), the Church of San Marco dei Veneziani, the Church of Santa Scolastica, the Church of Santa Maria degli Angeli and the Russian Church of Bari. 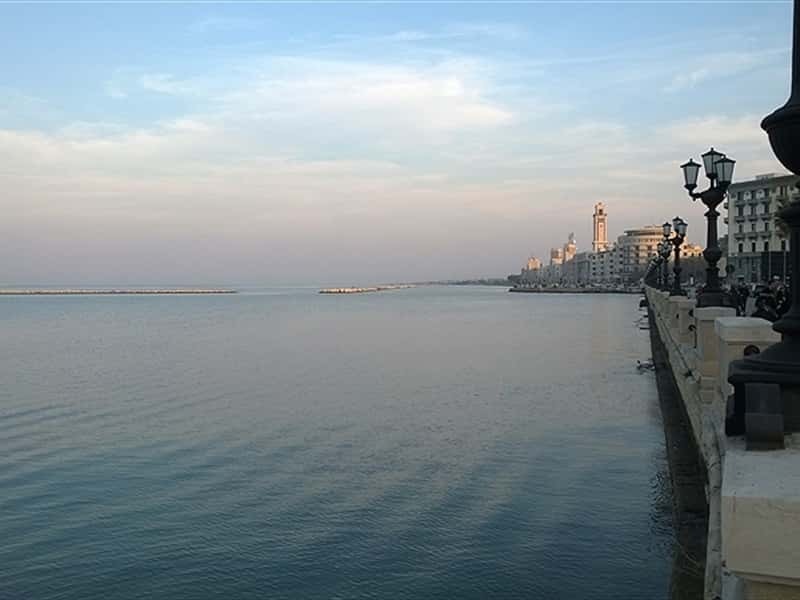 On the seafront of Bari rises the famous Teatro Petruzzelli, one of the largest Opera houses in Italy, opened in 1903. It has hosted on its stage international artists: Herbert von Karajan, Rudolf Nureyev, Frank Sinatra, Ray Charles, Liza Minnelli, Juliette Greco, Eduardo De Filippo, Riccardo Muti, Carla Fracci, Luciano Pavarotti, Piero Cappuccilli and Giorgio Gaber. Actually is subject to an ongoing refurbishment project due to the fire that damaged the building seriously in 1991. 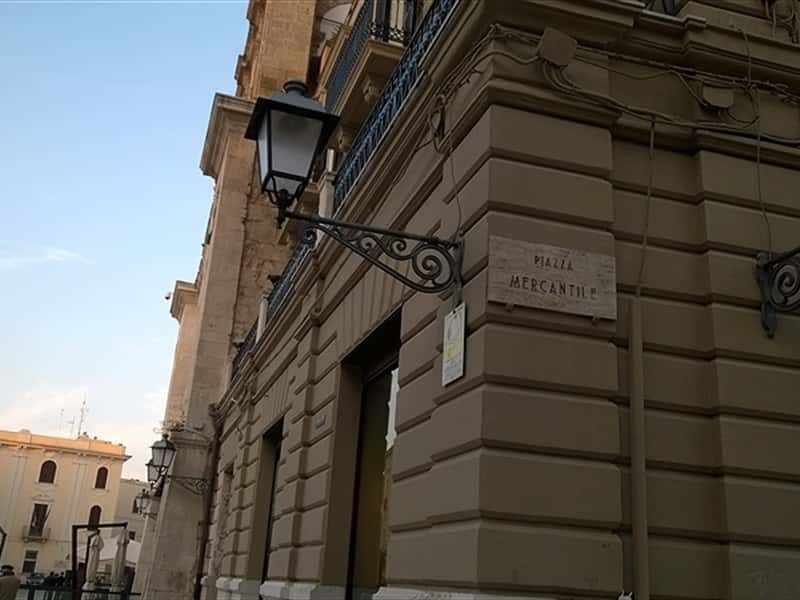 Worth a visit the Teatro Piccinini, the Archeological Museum and the Art Gallery of the Province. This town web page has been visited 65,372 times.